Between conventions, a dedicated Corridor Rescue volunteer asked if we could help with their fundraiser. We were honored to assist and set up a booth with all proceeds being donated to this amazing organization. It was great to see all of you at Comicpalozzza! We had so much fun that we are looking into confirming for 2013 and will keep you updated. Thanks again to ALL of our awesome volunteers, we couldn’t have done it without you. After a little time out for family celebrations and a little rest following Comicpalooza, it was time to dive in to preparations for Apollocon. We had a ton of fun at Apollocon and can’t wait to see everyone again next year! We met so many awesome attendees and vendors, if you weren’t there, you really missed out. It was also a lot of fun putting together a DICEcream Sundae for the well-attended charity auction. Hope to see you next year! We were more than happy to donate a GeekLife Treasure Chest containing a set of 7 polyhedral dice, Zombie Dice, Apples to Apples Dice Game, CubeFarm and a lego blind mini to Girls Rock Camp Houston‘s silent auction for their annual gala. And of course we are excited to hear that their Punk Rock Prom was a resounding success! August brought the end of the busy summer of cons and our last booth of the year at Space City Con. Once again, all the awesome fans really amazed and impressed us. The event was full of energy and we can’t wait to see how far this con can go! The end of August brought one more opportunity for us to give back. We not only donated a GeekLife Treasure Chest (with an Angry Birds acrylic tumbler and gift certificate), but we also participated in Corridor Rescue’s Spelling Bee (and even made it past the first round!). The end of convention season brought a quiet fall, but we made a point to get out there with one last donation of the year: a fifty dollar gift certificate for the Phi Mu Foundation raffle held by the Delta Lamda chapter. 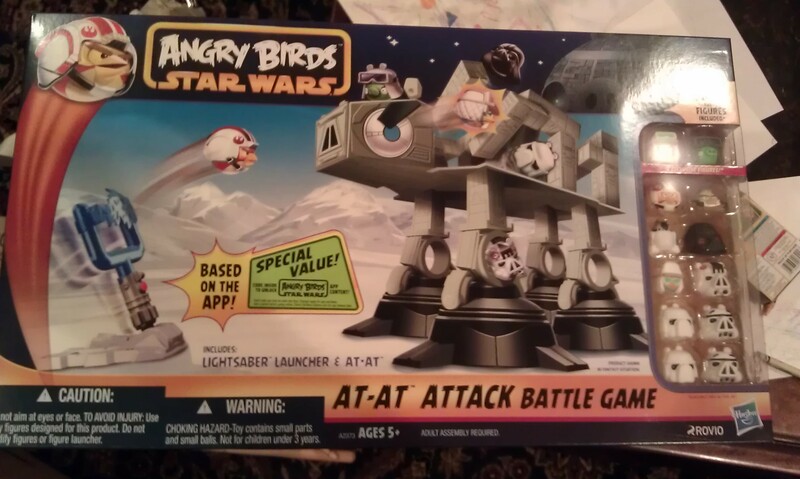 The winner picked out the very new, very fun AT-AT Attack Star Wars Angry Birds. As we begin 2013, we are very thankful for each and every one of you and look forward to seeing you again and meeting new friends at upcoming conventions!